This post will be talking about Game of Thrones, and therefore could contain potential spoilers. But the content will probably not spoil anything. But don’t trust me. I’m just a guy on the Internet. The finale is happening so soon? I haven’t even inquired into where whores go! 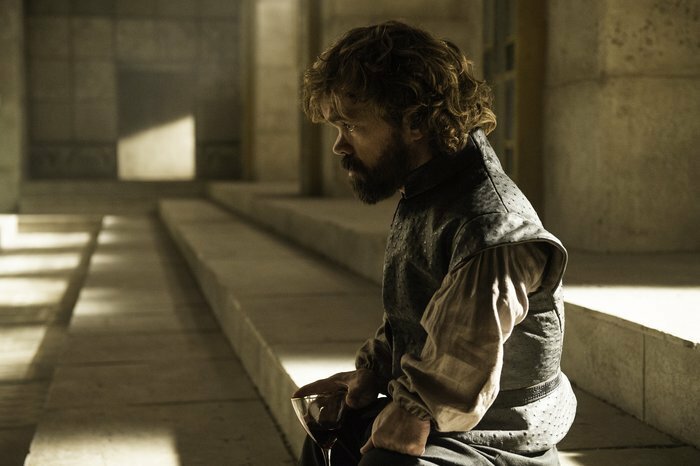 Sunday night, HBO will air the final episode of the sixth year of Game of Thrones, titled the Winds of Winter. The Starks have been talking about Winter Coming for so long, they might finally be right. But in honor of the imminent finale episode, I thought I’d throw something together now. Where I work, most of us have read the books and we encourage our colleagues who haven’t to make predictions for the season. Which entertains us to no end, because A Song of Ice and Fire is pretty unpredictable. This season, the tables were turned when our show watching comrades insisted that we smug book readers make predictions for parts of the show that had gone past the books. We complied. Below is a list of predictions (wrong, or super-unlikely to happen in episode 10) of what we book readers thought might happen. Feel free to ridicule. Bran learns to fully use his newfound power. He learns that he can control many recently killed men. Bran gains control of the dead Stannis and his dead men. He uses them to attack Winterfell and kill Ramsay. Then he sends the undead Baratheon men toward the wall to help Jon Snow. Jorah desperately searches for Dany. While he and Daario search for her, it comes out that Daario really WAS the leader of the Harpies! Can’t the producers make up their minds? There is an epic mano y mano fight to the death. Who comes out on top? Of course Jorah does. Jaime returns to Kings Landing and informs Cersei of the treachery of the Sand Snakes. Jaime and Cersei decide to get married, since there is nothing wrong with that. Jaime is distraught that his daughter has died, but realizes that it was just the Game of Thrones. Cersei blames him and insists he go and get revenge, but he holes himself in a tower reading books instead. Prince Doran sends his big guy (Areo Hotah) after Ellaria. He and his contingent attack Ellaria and the three Snakes. During the battle Elaria is killed. Areo returns the Snakes to Prince Doran. Doran then dispatches the Snakes to King’s Landing to rescue Trystane. They readily agree to this, planning to also kill some Lannisters (say, Jaimie and Cersei) while they are there. When the Snakes arrive in King’s Landing they attempt to rescue Trystane, but are stopped by Bronn and Jaime. Tyene and Bronn (who have a history as we know!) battle and Bronn kills Tyene. Jaime kills Nymeria and Obara manages to escape the melee only to run into the Undead Mountain who rips her in half! Prince Doran will be forced to order the arrest of the Sand Snakes, but they’ll not be caught, and will be assembling their supporters to challenge Doran’s rule. Dornish revolt! Jaime and Areo Hotah will hunt for Ellaria. It will turn out that Obara is actually on Prince Doran’s side in all this. Ser Davos will decide that he’s still team Baratheon, and sets off in search of Gendry. Melisandre found Gendry before, he suspects she can find him again. Arya journeys to the Eyrie to kill Littlefinger. She discovers that the Eyrie is under siege by Roose and Ramsay Bolton. She uses her new skills and faces to get past the Bolton army and inside the Eyrie. And she finds.. Sansa! Finally, a Stark reunion. Dany finds enough ships to sail to Westeros and heads there with her army and Tyrion. Along the way, Dany falls madly in love with Tyrion and marries him. At the end of the season the Lannisters have control of the south, the Starks control the north, and Dany controls Dragonstone and the Iron Islands. I didn’t list all of the stuff we got right (Jon coming back, Arya regaining her sight, Theon and Sansa not breaking their legs like they should have, etc.) but that’s not the point of the post. It was really fun as a book reader not quite knowing what might happen this season. In the past, it’s been more of judging the show as an adaptation and it’s kind of cool to be experiencing it as a fresh story. Okay, I hope everyone enjoyed reading this and will enjoy the upcoming finale. I make no claims to the artwork, but some claims to the text – that I wrote. The other predictions belong to my co-workers, obviously. Did I get permission to use these quotes? What an interesting question. Hey, is that a dragon flying over to burn us all up? Let’s worry about that, shall we? Well a Stark reunion kinda happened (hope this doesn’t count as a spoiler!). I can’t believe it has come around so soon… But I’m sure I think that every year! I keep forgetting about Dorne (because it was so forgettable / regrettable) but it is crazy how the storyline just ceased to exist – we were discussing the other day how many allowances we make for bad writing due to loving the show so much: rose-tinted viewers! Maybe the Sand Snakes will fly out of a dungeon like that other, ‘out of sight, out of mind’ plot line with Dany’s dragons last week! Anyway, enjoy the finale…Look forward to a catch up after my Twitter blackout on Monday! 🙂 That was quite a spectacular battle! It gave us some of what we wanted, at least I wanted Ramsay to die, but I was hoping that the North would rally and come support Jon. Instead, we get Littlefinger and his sticky fingers on the lemoncakes. You’re welcome. Am looking forward to those 24 (!) blogposts you have planned! I’m sure they’ll all be at least touched by awesomeness… thank you for the public service, in staving off Game of Thrones pangs! Good to know you’ll be restarting soon! 24 new essays!! Woohoo! Please do! But don’t worry, the predictions I have in the post are pretty much totally rendered wrong by show events, but just in case, don’t read it until you’ve seen the finale. It was a wonderful finale and I was clapping on the sofa. Best of all I liked Diana Rigg, in wondrous mourning, plotting with the snakes. Still excited but that’s my alter ego, Kerry. Khaleesi remains dignified and serious. Thank you for the comment, and for enjoying some of the crackpot theories we had in my office. The best interpretation from the show is that Jon is Rhaegar’s son, and therefore your nephew. That finale was great, especially no-nonsense Diana Rigg. Speaking of no-nonsense, did you enjoy Lady Lyanna Mormont’s rousing speech? I think she’s delightful. Ah, my nephew – interesting. I LOVED Lyanna’s speech. Where did they find that little girl? I like the one about Mel searching for Gendry. That makes sense. She did tell Arya they would meet again. I suspect that will help in Season 7th. Dany heading to Dragonstone is logical as well. It historical was the home of the Targaryens and good place to gather her forces. My question at the end of Season 6 is are the Dornish and Reach forces with Dany in her ships or will she meet them all at Westeros? I assume the troops didn’t travel to Meereen, so there would be room for the Dothraki that she was bringing over. I mean, I’m sure the ships were crewed. If Gendry is still rowing that boat, by now he would have had to circle all the way back to Westeros and he’s probably got forearms like Popeye. Well as you know I correctly picked everything that happened in the show this season. You did get that email didn’t you, gee I was sure I sent it to you. Oh well , you know me well and that I was so likely to have picked everything, lmao or maybe not.